Ah, Paris. The “city of light,” the “city of love.” We loved it and for the most part, the city loved us back. But I honestly think it’s because we did tons of research and got a million and one opinions before we left. 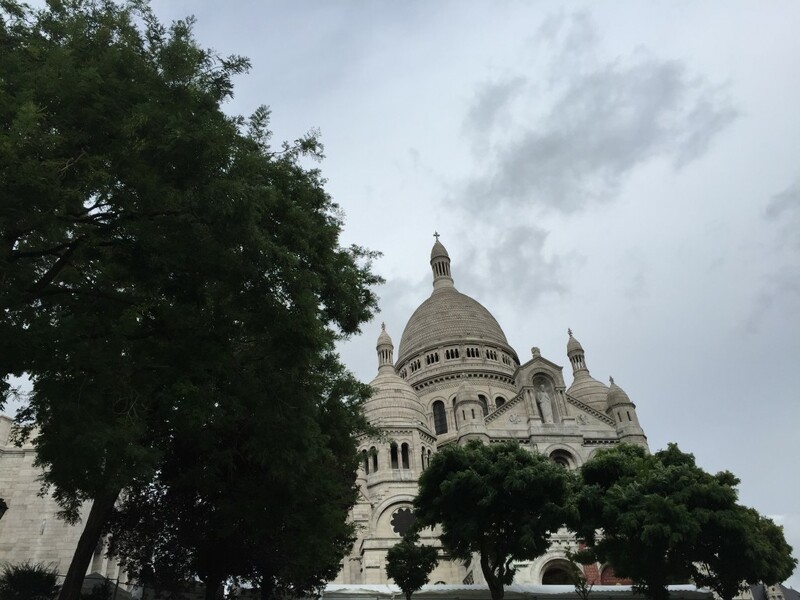 We didn’t do everything perfectly, but after the trip I realized a few things that made our trip so much more enjoyable and allowed us to bask in the “je ne sais quoi” that Paris is known for. So I’ve made a list of the top 10 things that I think would be the most useful to new travelers. The time of year you go over might be the most important factor separating a good trip from a great one. We went at the end of September and it was wonderful. The lines for almost everything were nonexistent, everything was open (Parisians are famous for shutting up shop for vacation), and it’s easier to dress the part (more on that later). Oh, and did I mention that almost everything is cheaper in the off season? Yeah, it was great. So go right before or right after summer and as you can see from above, it’s still gorgeous weather! This was the view from our balcony. You guys, this saved us so much money and we absolutely loved it. Like saved us thousands kind of money. 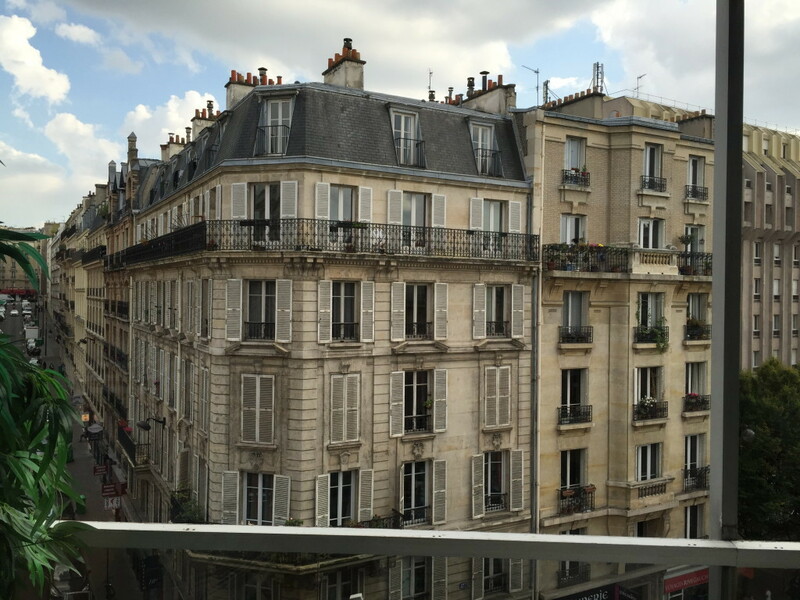 We used Air BNB for our entire Euro vacation and not only did it save us tons, but we also got to stay in residential areas where other Parisians live and experienced more of what regular Paris is actually like. We went to legit local boulangéries, cafés, markets, etc, and were mere steps away from the Metro because we were able to pick our place based location and not just where hotels have availability. AirBNB made our lives so much easier and while I’d love to say that they were sponsoring this, alas, they’re not. We just loved our experience that much. This one seems like a no-brainer but somehow it didn’t even cross my mind until a friend mentioned it a day before we left. I’m so glad we sat down together and planned out the things that we wanted to do. We checked the weather ahead of time to help us decide which days would be museum days and which would be touring days and then filled our day based on the list. We knew that we couldn’t see and do everything in a week so we prioritized and we ended up being able to see and do everything that we really wanted to while keeping a cool Parisian pace. Please don’t be THOSE Americans. I didn’t really understand it until I got there but you have to take your dress up a notch there. People do not wear athletic or lounge wear. If you do, you will look like an annoying American and you will be treated differently. The French take pride in dressing nicely and I have to admit that by the time we left I really appreciated it. So pack some nice footwear, chinos or dark jeans, button downs or dresses and of course, a scarf. Chances are you will not be able to perfectly plan every meal and that’s OK because things over there are more go with the flow. While in the midst of your wanderings, you will smell delicious food and want to run into the nearest restaurant thinking that “all French food must be good.” The sad truth is that while much of the food there is good, there are some places that are absolutely disgusting. The only truly awful meal we had in France was when we decided to eat in Montmartre without taking a minute to look it up. Worst. Meal. Ever. 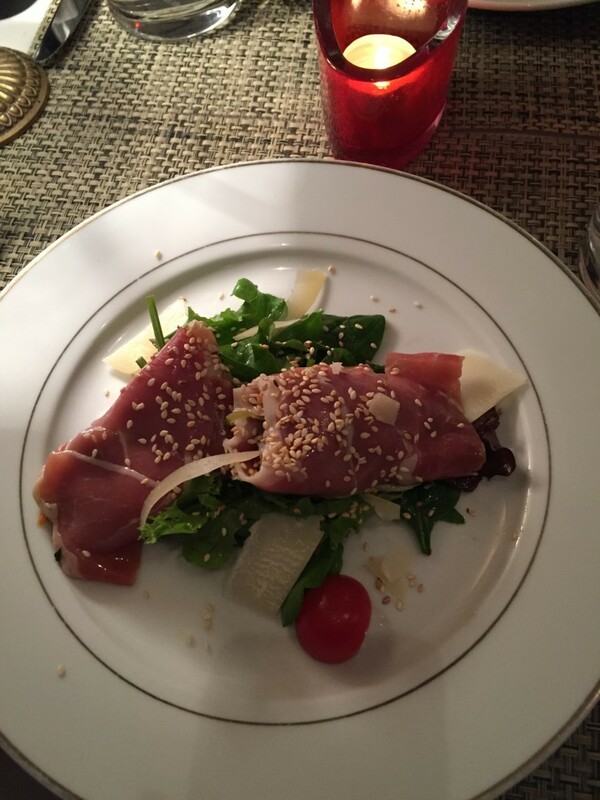 Take 5 minutes and use some of that prepaid data to find some of that amazing cuisine they’re known for. Everyone told us to take a boat tour and while we thought that it would be fun, we had no idea how much we’d love it. 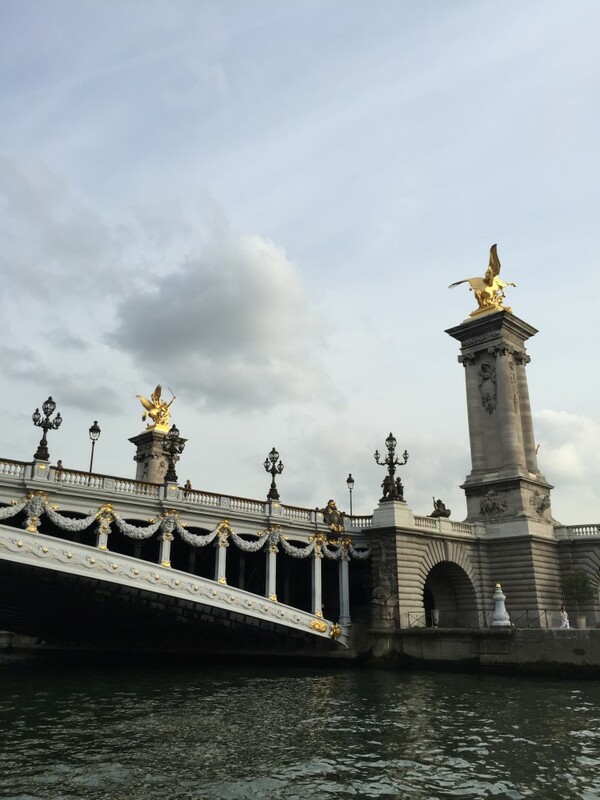 The boat tours range in price, accommodations, and times but they all depart from the same approximate location on the Seine near the Louvre. We learned about the amazing bridges in Paris, the Eiffel Tower, Notre Dame, and about a dozen other really awesome things along the river. It’s also a great way to see a few tourist destinations and further whittle down your “must see” list while you’re there. And quite a few of their their bridges are amazing and gilded. SO freakin’ chic. We knew we wanted to buy some original art from along the river but we just couldn’t decide what to buy. After casually looking while on our way to various destinations, we decided to check out some booths towards 5pm. We complimented the artists (always smart) and proceeded to try to narrow down our choices to just a few to purchase. 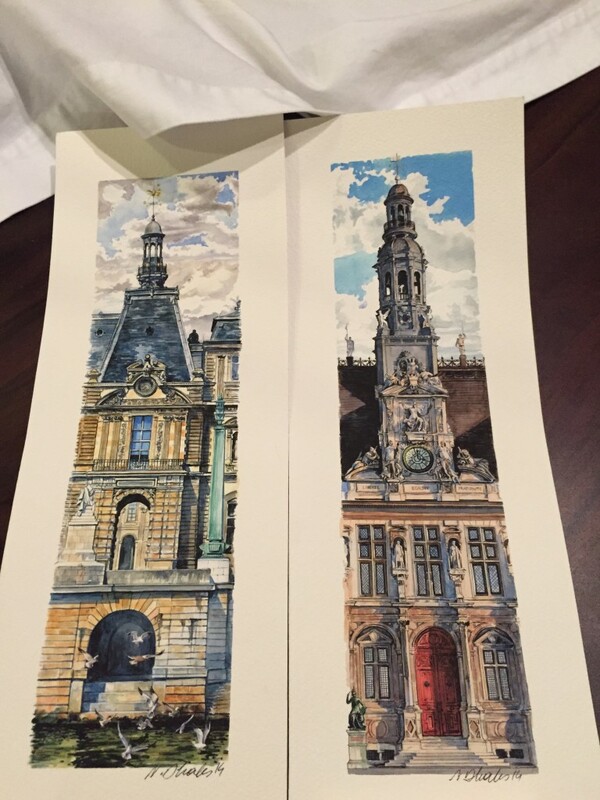 After only 5ish minutes, the artist said if we would pick a few he would give them to us for almost half off since he was ready to go home and enjoy some wine. We happily scooped up our favorites, exchanged Euros, and were on our way. We were happy because we came home with some amazing original work and he got to go home. As Michael Scott might say, win-win-win. 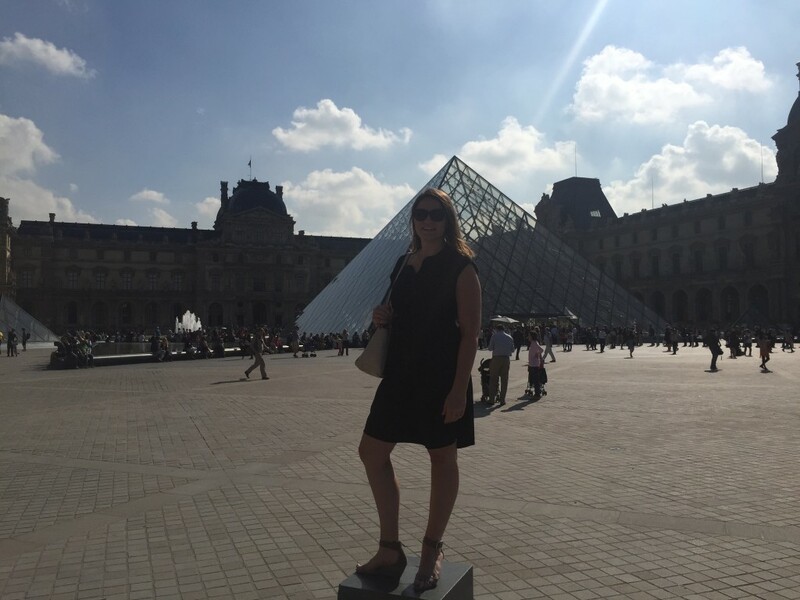 The Louvre (pronounced “loov”) is a must see for everyone but especially if you like art, architecture, or culture. Since you’re headed to Paris, I’ll assume you like all three. If you do, you’ll want to optimize your time in the humongously, amazingly large museum. The best way to do this is to avoid the ridiculously long line to buy tickets. Go online that morning before you head out and buy your tickets. It’ll save you half an hour (at minimum) and a whole lot of needless waiting. Every morning before we got on the metro, we’d head to the corner boulangerie (bakery) and buy a couple of quiches, a baguette and a few éclairs. We’d sit at a park and eat our quiches and éclairs like uncultured Americans (the French don’t do protein for breakfast) and then save our baguette for dinner/snack. This allowed us the ability to enjoy more of their amazing parks and gave me something to nibble on when we didn’t have time to pop into a café. 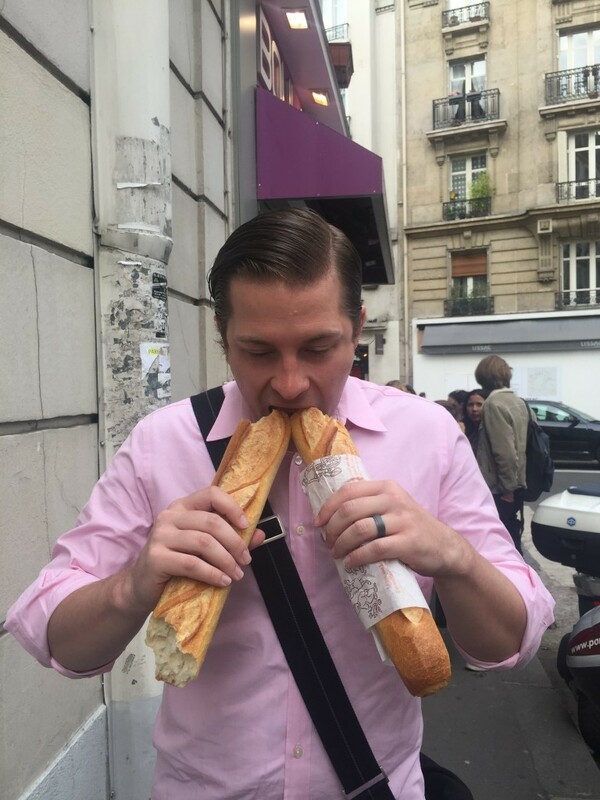 And yes, that is my husband shoving baguette into his mouth. 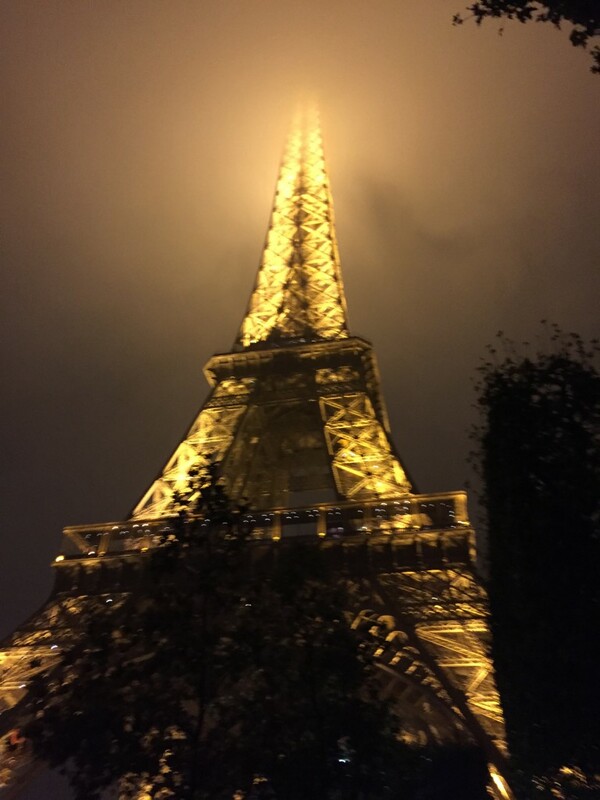 The Eiffel Tower is is far more magical than either Nate or I could have imagined. 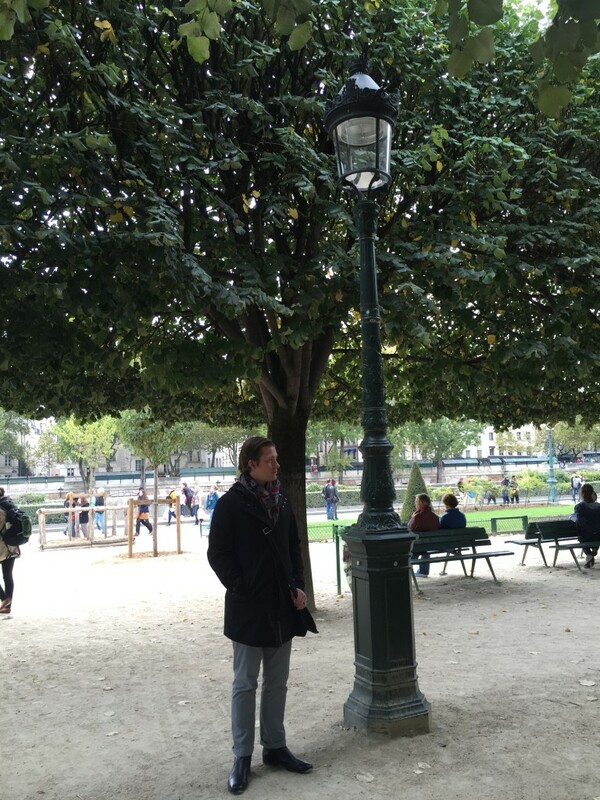 It’s right along the Seine in a beautiful park. 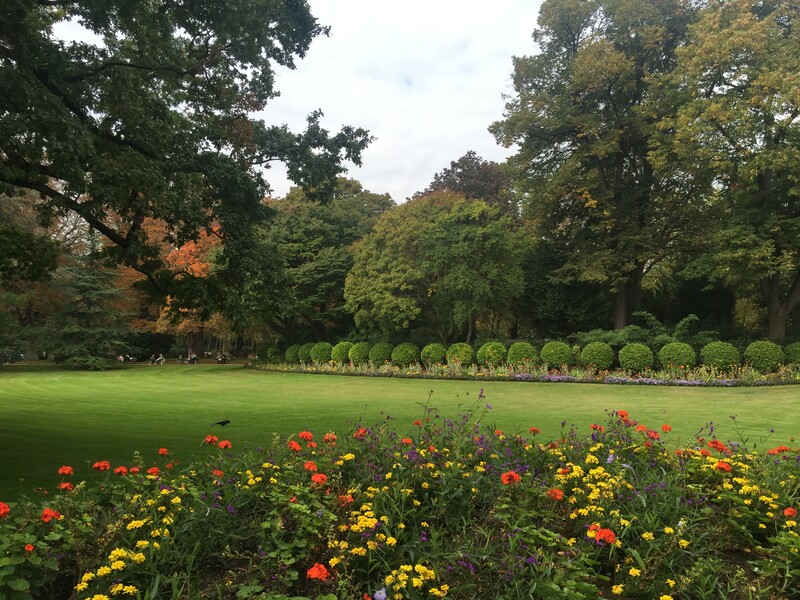 During the day, the park filled with people laughing, singing and enjoying picnics. At night the tower lights up and even twinkles at certain times. Both times were magical and were highlights of our trip. Sing along with the accordion player when he plays “La Vie en Rose” every twenty minutes and soak in the ultimate Paris experience. So after completing this I’ve realized that these aren’t completely unexpected ideas but maybe just unconventional advice. What are your favorite travel tips? 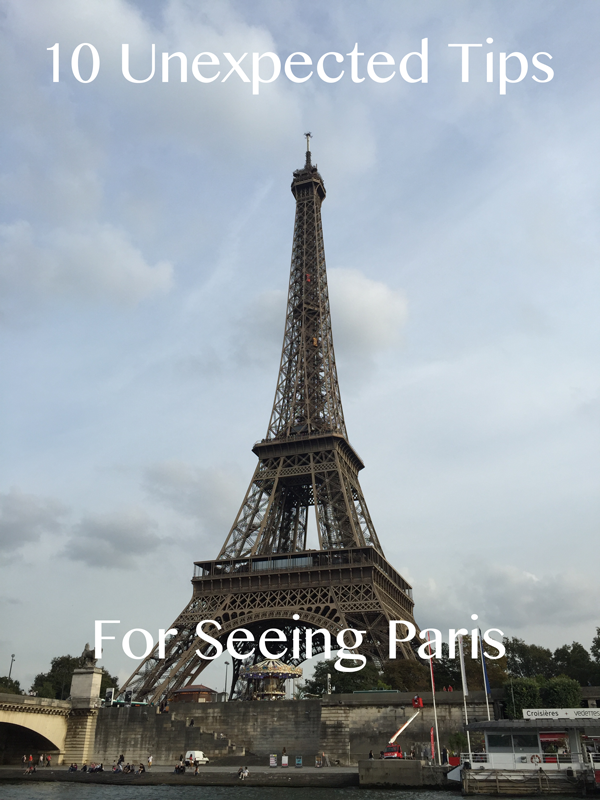 Don’t have time for Paris this year or just want to reminisce? Check out some of my favorite books on the City of Love(they’re waaay cheaper online than in Paris). If you’re looking for more travel tips, check out my post on Costa Rica! Have a fun weekend!